Rightfully called the “God’s own country”, Kerala is a treasure chest of vibrant culture, natural wonders and man-made feats. 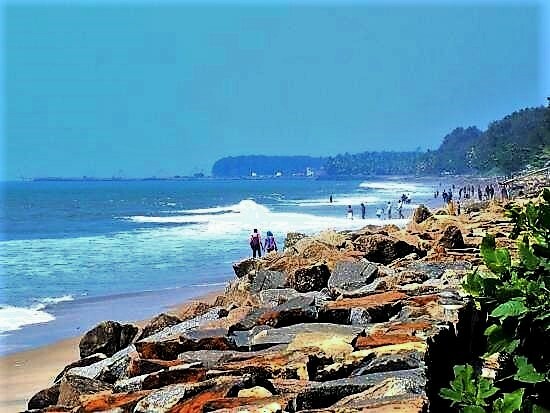 The coastal state is blessed with architecturally unique temples, sandy beaches, lush green hills, pristine backwaters and beautiful dense forests. Other than these, adventure sports, elephant rides and forest trails make Kerala the perfect destination to immerse oneself in the laps of nature. The beautiful state can be best explored with Excursion2India’s Kerala tour packages. Day 1: Kochi – Cherai Beach: Arrive in Kochi and straightaway drive to Cherai beach. This is located at the north end of Vypeen Island in Ernakulam district, a little more than 35km from Kochi, and a drive of a little more than an hour. Check into a hotel or resort on reaching at Cherai Beach. Lined with coconut tree and green paddy fields, Cherai is a unique combination of sea and the backwaters. You can enjoy swimming, surfing and sunbathing at this picturesque beach, which is almost 15km long. You can also walk to the Munabam beach, situated at the northern end of Cherai Beach (2km). This is where River Periyar flows into the Arabian Sea. Have dinner at your hotel. Overnight at Cherai Beach hotel/resort. Day 2: Cherai Beach – Alleppey: Enjoy a lovely sunrise at Cherai Beach. Have breakfast and check out from the hotel. Drive to Alleppey, a drive of close to 2.5 hours. Check into a hotel or resort on arrival in Alleppey. Immediately after settling in the hotel go out and board a private houseboat for a lunch cruise on the famous Vembanad Lake. Spend a few hours cruising on the backwaters, the waterways which has brought the epithet ‘Venice of the East’ for Alleppey. Disembark from the boat late in the afternoon. Enjoy a sumptuous and unique Kerala style cooked dinner. Overnight in Alleppey. 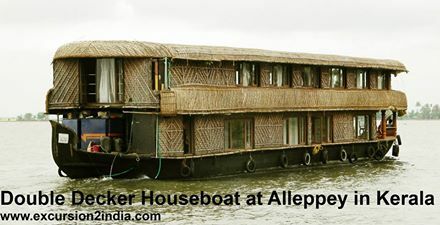 Day 3: Alleppey: After breakfast at the hotel embark on a full day sightseeing of Alleppey. Start with the beach in Alleppey, situated quite close to the city. Beach looks quite beautiful even though it is generally quite busy on weekends and public holidays. There is a public park, with lots of games and rides, made quite close to the beach. There is a lighthouse also located a little inland to the beach. This lighthouse, built in 1862, has a museum attached to it. You can enjoy good views of the sea if you can climb more than 300 stairs to reach its top. There are quite a few old temples in Alleppey. These are not just places of religious importance, but also of architectural importance. Some such temples are Ambalapuzha Sree Krishna Temple, Sree Subramanya Swami Temple, and Mannarasala Sree Nagaraja Temple. Go and visit St. Andrew’s Basilica Arthunkal, a 16th century built church, which is revered by the locals for its famous bleeding statue of St. Sebastian and healing powers of the church. Close to this Church is another fabulous beach Andhakaranazhi Beach. Return to the hotel or go to a restaurant in the city. Have a nice dinner and retire to your room for an overnight sleep. Day 4: Alleppey – Kollam: Check out after breakfast and drive to Kollam, also called Quilon. This is a drive of close to three hours. Check into a hotel on reaching Kollam, a coastal city located on the banks of Ashtamudi Lake. Immediately afterwards start a sightseeing tour of Kollam. Kollam, which was a flourishing business port city in ancient periods, is famous for its cashew business and there are over 600 cashew processing units in the city. You can visit one to understand the processing and buy some cashew nuts too. Keep this for late in the afternoon, around evening. But to begin with, make a visit to Munroe Island, a small island located at the confluence of Ashtamudi Lake and Kallada River. The only way to reach the island is by boat. Afterwards, during afternoon go and visit the beach and see the beautiful sunset. After visiting cashew processing units and buying some, go and have dinner at one of the restaurants. Return to the hotel. Overnight in Kollam. Day 5: Kollam – Kovalam: Start after breakfast from Kollam and head to Kovalam, a drive of around 2.5 hours. Check into a hotel on arrival in Kovalam. After some relaxation move on to explore the beauty of Kovalam. Visit Lighthouse beach, quite popular among the tourists. Bathing or swimming is, however, not advisable here because of high tides. You can walk down from here to Hawa beach. Towards the evening you can opt for a spa session at your hotel or at a spa outside. Have a nice dinner. Overnight in Kovalam. Day 6: Kovalam – Thiruvananthapuram – Kovalam: Get up quite early and take up yoga classes with the sun rising in the backdrop. Get back to a room, get ready and have your breakfast. Afterwards go to Thiruvananthapuram, capital of Kerala. This is just 16km from Kovalam. The first place you should visit is Sree Padmanabhaswamy Temple, supposed to be one the wealthiest temples of India. The temple has Lord Vishnu in sleeping position. Go and take a guided tour of Padmanabhapuram Palace, the royal residence of the yesteryear Travancore rulers. It is known for intricate wooden carvings. Have lunch at one of the restaurants. Later, you should visit Napier Museum, which gives a good glimpse of the history of Kerala, particularly Travancore rulers. Thiruvananthpuram Zoo is also nearby and if you are willing you can visit that. You should go and explore Shanghumukham beach, with a famous sculpture of a mermaid. The beach is a perfect place to enjoy setting sun. Return to your hotel in Kovalam. Enjoy your dinner. Overnight in Kovalam. Day 7: Kovalam – Kanyakumari: Check out from the hotel in Kovalam after breakfast. A drive of more than two hours will bring you to Kanyakumari, place where Bay of Bengal, Arabian Sea and the Indian Ocean meet each other. On the way, you can visit Suchindreem Temple. Check into a hotel on arrival in Kanyakumari. After settling in the hotel, move out and go for a visit to Vivekananda Rock. Visit Gandhi Memorial, and make it a point to visit Devikanya Temple. Look at the stunning sunset and return to the hotel and enjoy your dinner. Overnight in Kanyakumari. Day 8: Kanyakumari – Poovar: Check out from the hotel in Kanyakumari after breakfast and drive to Poovar. This is a drive of around two hours. Check into a hotel on arrival in Poovar, a popular tourist village situated at the southern tip of Thiruvananthpuram. Poovar has an estuary which connects with the sea during high tides. Neyyar River passes through Neyyattinkara taluk into the Arabian Sea near Poovar. Poovar is known for swaying coconut palms, endless golden sands and lush flora. Spend the day enjoying in and around Poovar Island. Have dinner and overnight in Poovar. Day 9: Poovar – Thiruvananthpuram: After breakfast check out from a hotel in Poovar and drive to Thiruvananthapuram Airport and catch a flight to your onward destination. Treat yourself to Customized Tour Packages to desired places with Excursion2India!